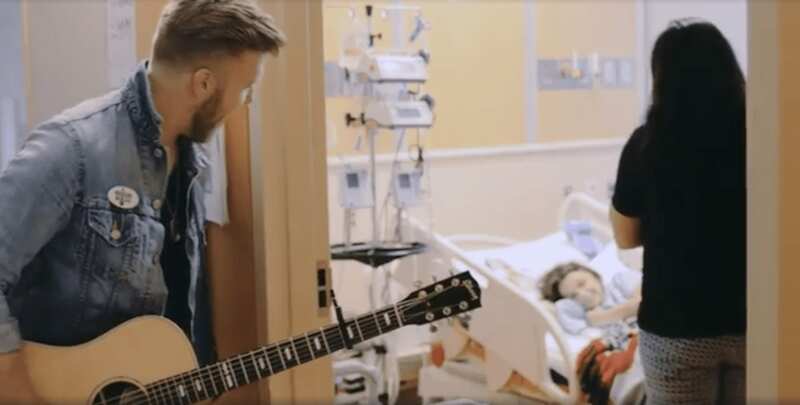 With his cheerful music and welcoming demeanor, country music artist Brandon Ray lit up rooms and brought joy to patients at Children’s Hospital Colorado, both at their bedsides and during a stop at the hospital’s Seacrest Studios. The visit was possible thanks to Musicians On Call’s ongoing partnership with Southwest Airlines’ Medical Transportation Grant Program. This program provides complimentary air travel to patients and their families to receive life-saving or life-changing medical care. Thanks Southwest Airlines for helping us bring BRANDON RAY to Children’s Hospital Colorado! Since 2017 Southwest Airlines has been a proud sponsor of Musicians On Call. They have provided our organization with air travel and funds to help us bring live and recorded music to healthcare facilities across the country. This year Musicians On Call and Southwest Airlines brought music to the bedsides of patients at partner hospitals in San Francisco, Denver and Los Angeles. “The partnership with Musicians On Call is a beautiful way to bring music to patients and put a smile on their face,” said Tena Griffith of Southwest Airlines.